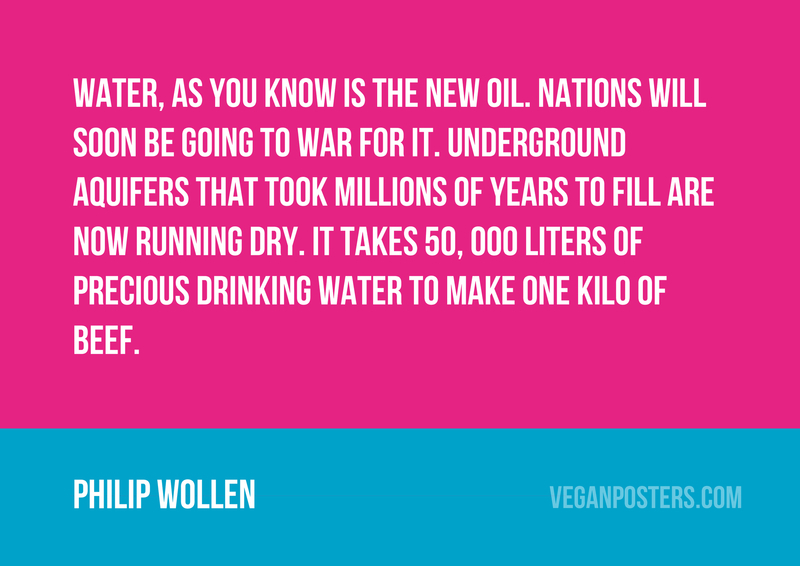 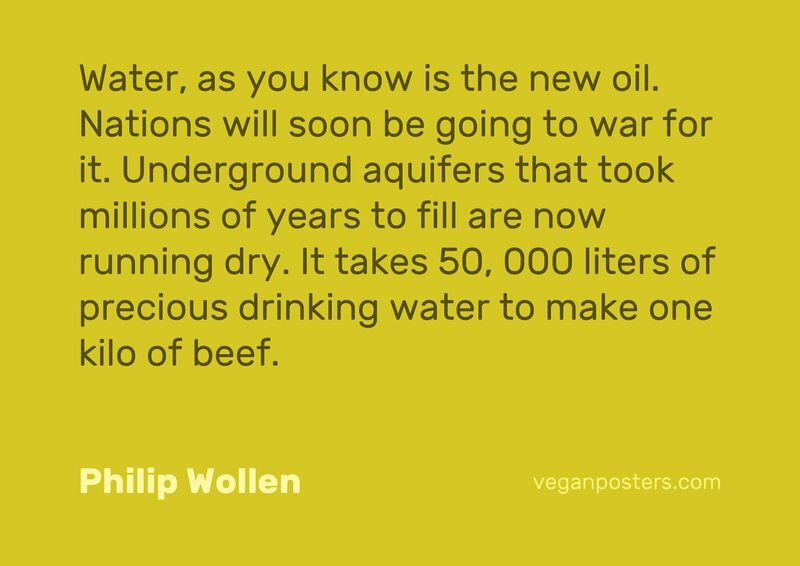 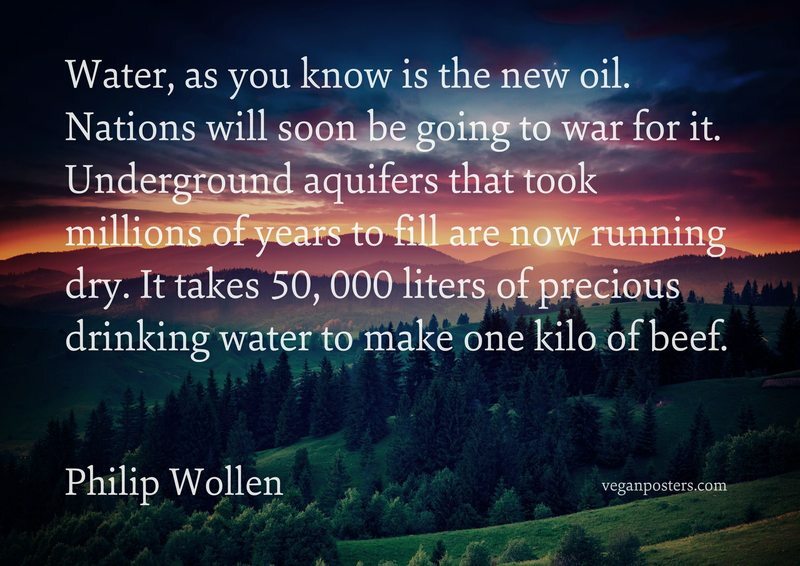 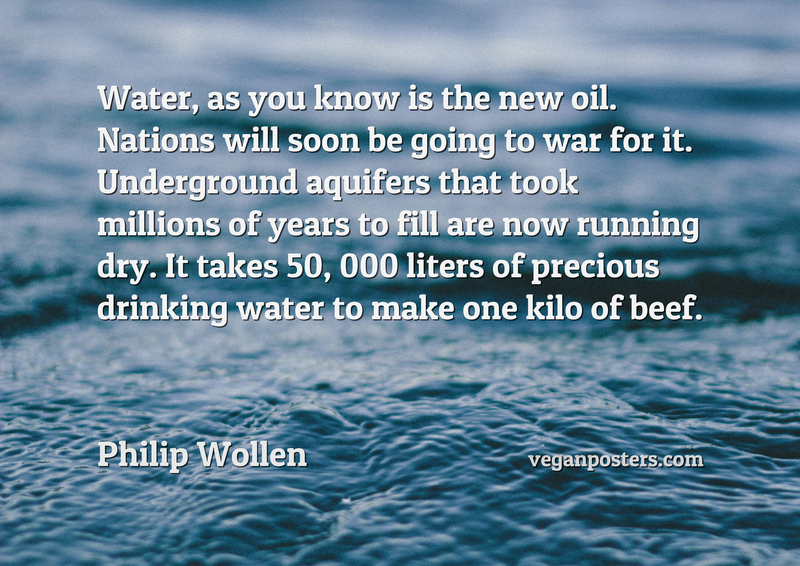 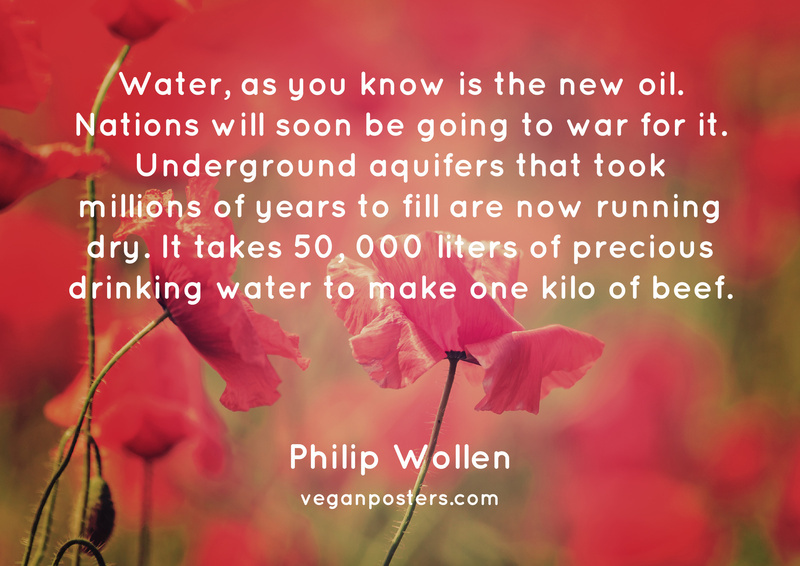 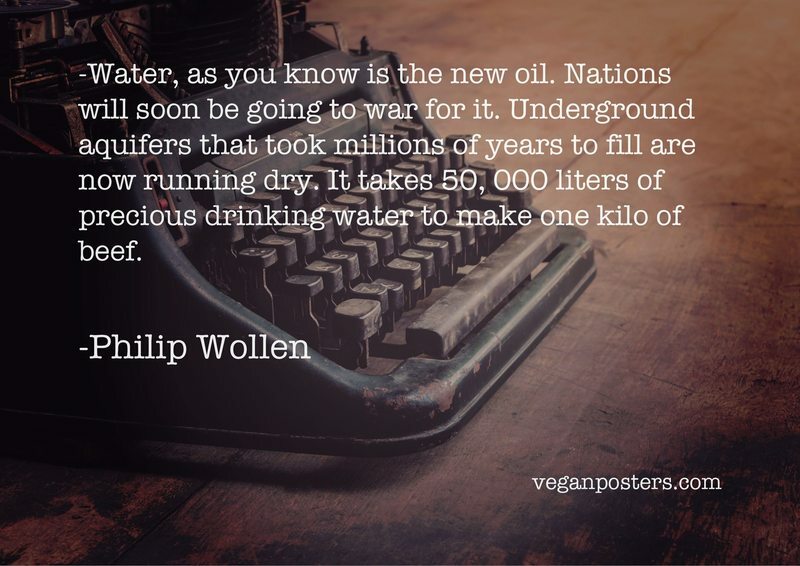 Water, as you know is the new oil. 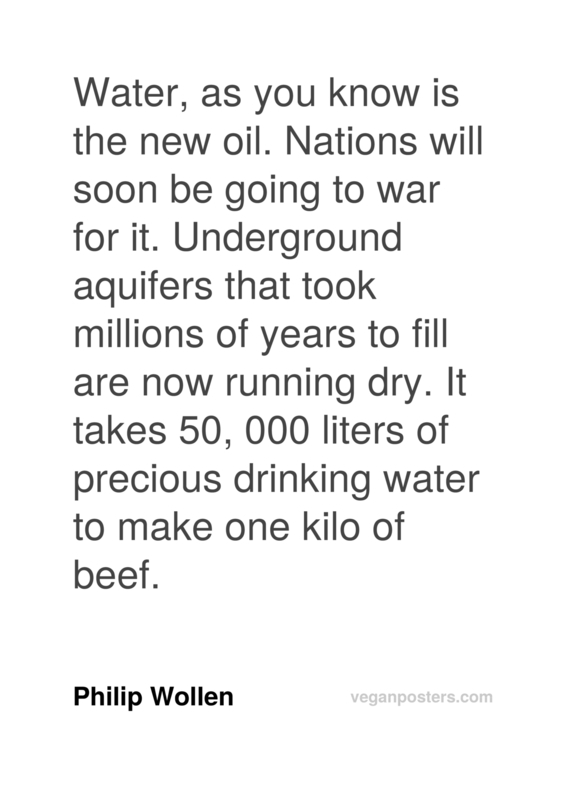 Nations will soon be going to war for it. 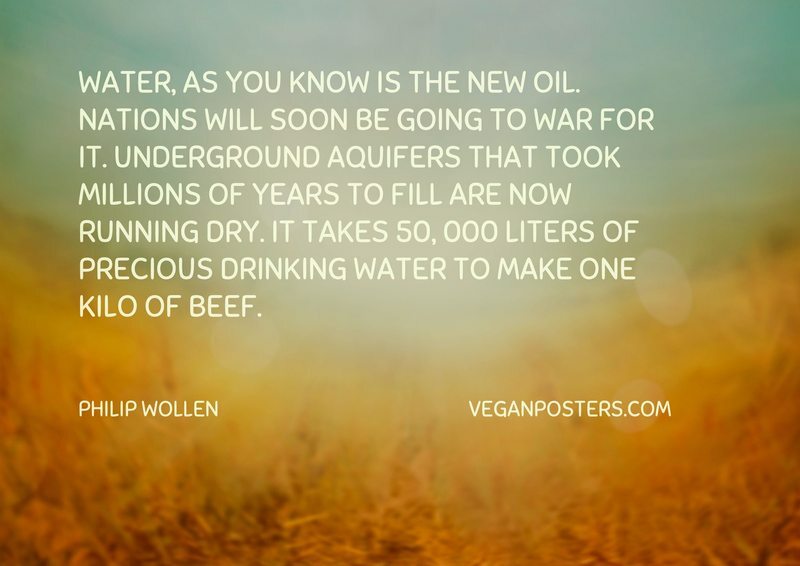 Underground aquifers that took millions of years to fill are now running dry. 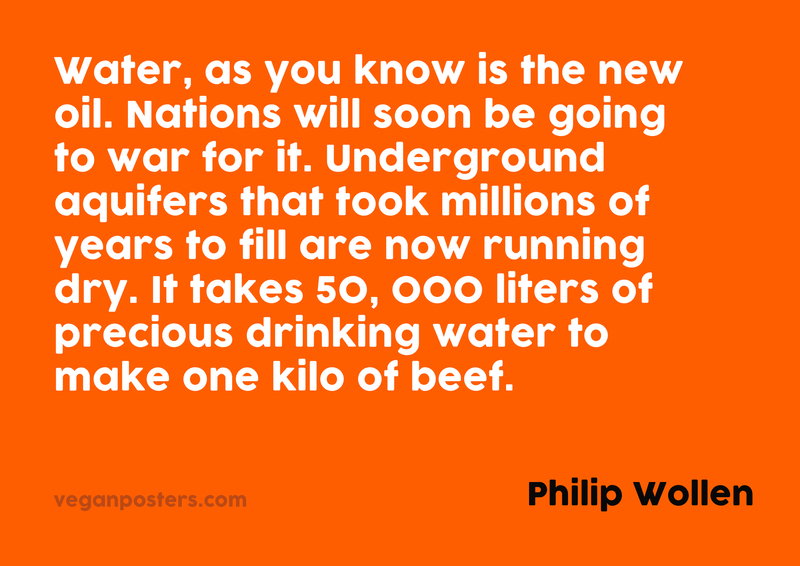 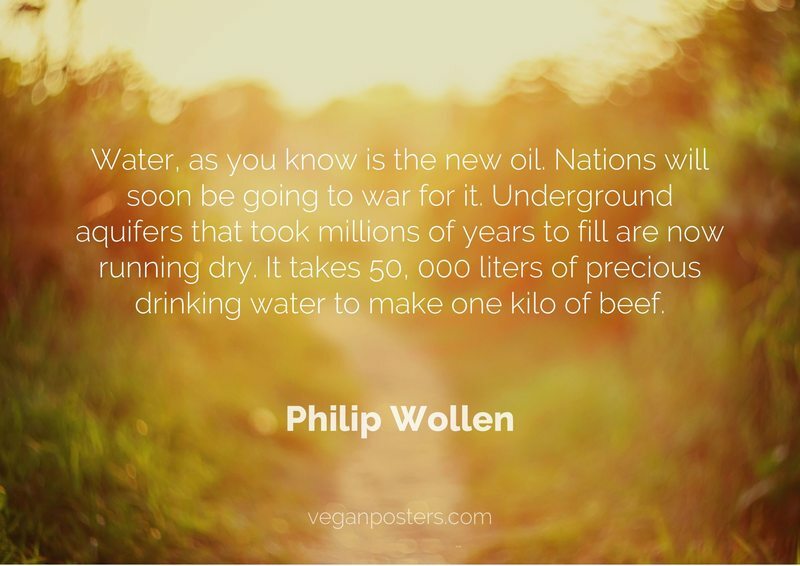 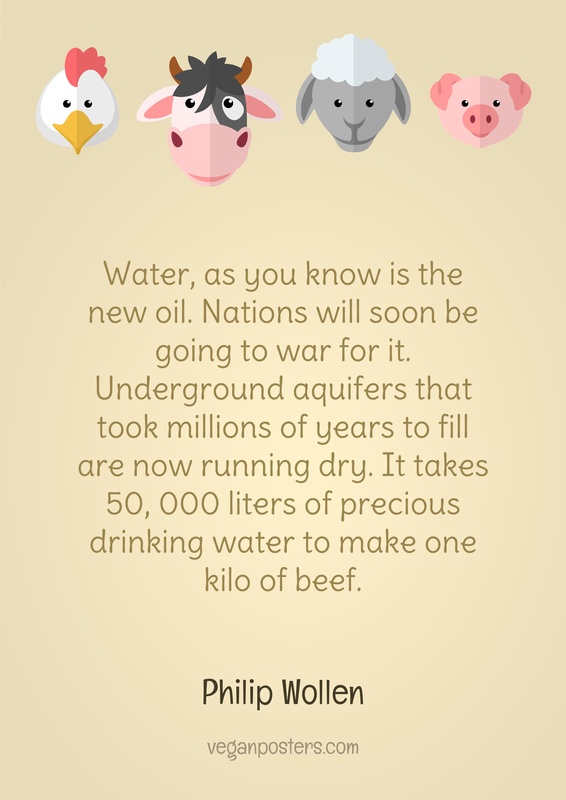 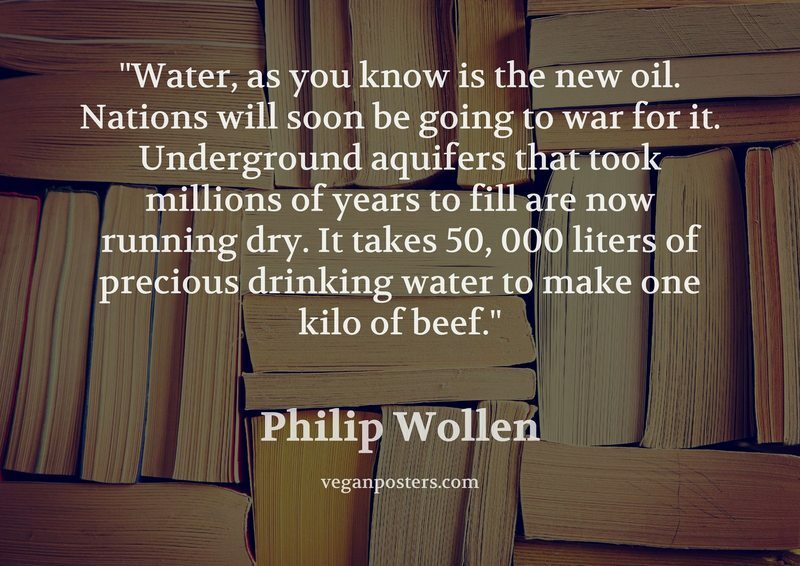 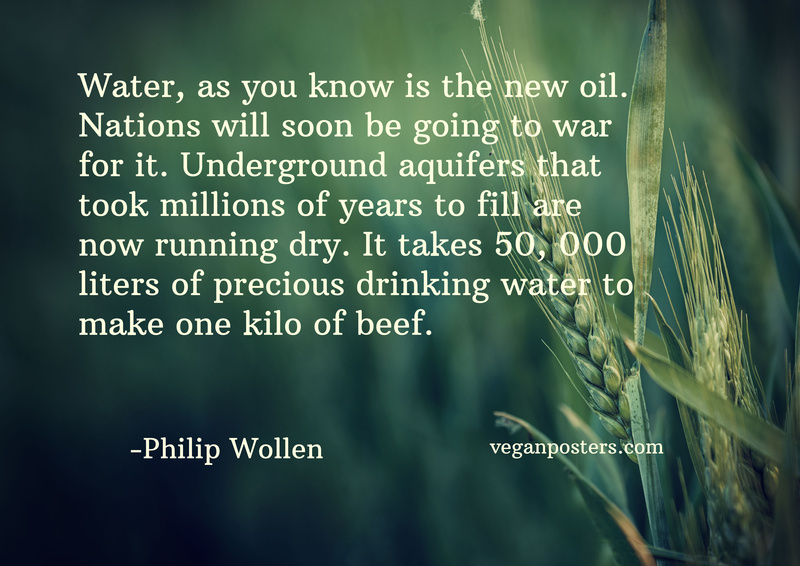 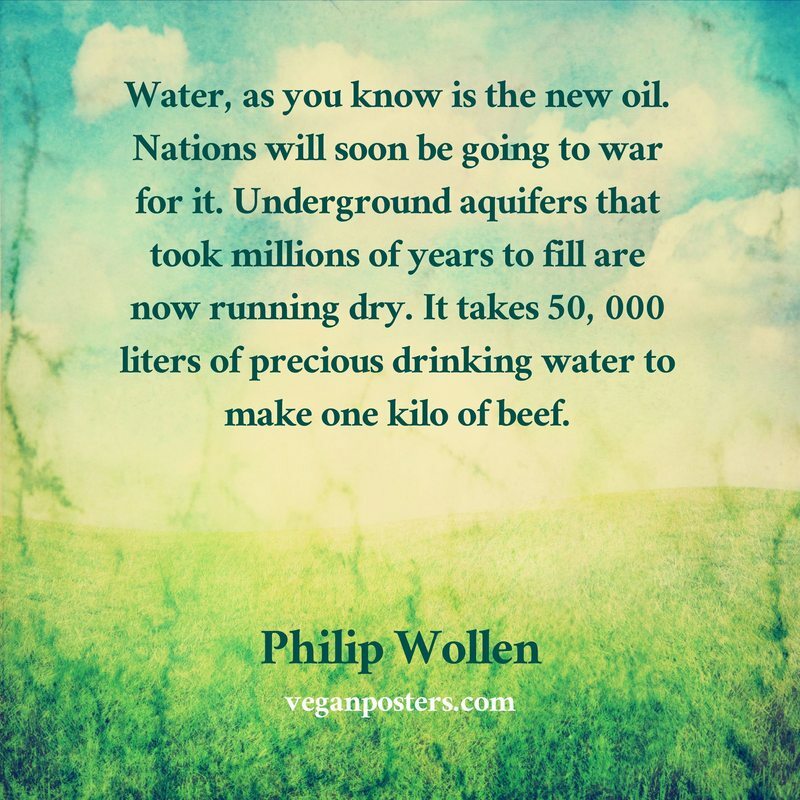 It takes 50, 000 liters of precious drinking water to make one kilo of beef.